An archive of Andy Albright’s Wednesday Live show. The Wednesday Call Live (TWC) for June 13, 2012: Andy Albright hosts a live conference call and meeting from National Agents Alliance Headquarters in Burlington, NC! Andy's live show covers all kinds of great topics, including training, information on team building, new developments that are in the works, and frank discussions with your fellow agents (beginner and top level managers alike!). If that wasn't enough, the live show also provides motivation and encouragement that will help get you fired up and ready to roll! Be sure to tune in and take advantage of the great info in todays Wednesday Call. The Live Show will air again on June 20, 2012 at 12:30 PM ET. The Wednesday Call Live (TWC) for June 6, 2012: Andy Albright is coming at you live from Des Moines, Iowa this week! Training, team building, and surprise visits from top agency managers are all common themes for Andy's live show. This week, Tom Herald from American Equity joins Andy to give tips on annuities in addition to all the other topics. Tune in to get all of today's great info! The Live Show will air again on June 13, 2012 at 12:30 PM ET. The Wednesday Call Live (TWC) for May 30, 2012: In this week's call, Andy Albright is on a Midwest Swing and coming at you live from Cleveland, Ohio, and it is a packed house! Andy has got all kinds of information for the crowd, not only delivering the awesome training that we expect (some AWESOME team builder information), but discussing the direction of The Alliance and where we're headed. Andy's also got details on what went down at Punta Cana and Fiji, along with some of the attendees! He also has information on the Albright Board Members School and the 2012 Leadership Conference. Did you know that you can tag along with Andy on his Midwest Swing by visiting his blog?! He's put together a whole series of video logs of the trip...Check 'em out. The Live Show will air again on June 6, 2012 at 12:30 PM ET. The Wednesday Call Live (TWC) for May 23, 2012: Andy Albright is coming at you live from National Agents Alliance Headquarters in Burlington, NC! Training, team building, and surprise visits from top agency managers are all common themes for Andy's live show. Tune in to get all of today's great info! The Live Show will air again on May 30, 2012 at 12:30 PM ET. The Wednesday Call Live (TWC) for May 16, 2012: In today's live show, Andy Albright talks with and about National Agents Alliance's Agency Building Task Force (ABTF). How does ABTF build business? What is their most profitable business model? Where do you focus efforts, and how to drive depth and stability? The mechanics of how the ABTF performs are the premier model for building this business. Be sure to tune into this episode of the live show as Andy covers all the details! The Live Show will air again on May 23, 2012 at 12:30 PM ET. The Wednesday Call Live (TWC) for May 9, 2012: Andy Albright is coming at you live from National Agents Alliance Headquarters in Burlington, NC! Training, team building, and surprise visits from top agency managers are all common themes for Andy's live show. Tune in to get all of today's great info! The Live Show will air again on May 16, 2012 at 12:30 PM ET. The Wednesday Call Live (TWC) for April 25, 2012: In today's live show, National Agents Alliance CEO Andy Albright is fired up! Come and catch the wave that NAA is riding, we're going places and want you with us. We've got all kinds of info and stories of folks doing good for their clients, a sneak peak of something big for next Wednesday's call, and Tim Goad speaking about mindset - How to get yours right and what to focus on. The last Spring Forwards are literally upon us, and the entire staff here at National Agents Alliance headquarters is ready to get out and meet with you all. Will you be there??? The Live Show will air again on May 2, 2012 at 12:30 PM ET. The Wednesday Call Live (TWC) for April 11, 2012: In today's live show, Andy Albright discusses the fact that boldness is rarer the higher the rank, and short-term money vs long-term money. The Live Show will air again on Wednesday, April 18th at 12:30 PM ET. The Wednesday Call Live (TWC) for March 28, 2012: Andy Albright is coming at you live from National Agents Alliance Headquarters in Burlington, NC! Training, team building, and surprise visits from top agency managers are all common themes for Andy's live show. Tune in to get all of today's great info! The Live Show will air again on April 4, 2012 at 12:30 PM ET. The Wednesday Call Live (TWC) for March 21, 2012: In today's live show,Andy Albright talks to a PACKED HOUSE! Here in the studio the audience was wall to wall, while Andy and Tim Goad dropped knowledge on them all. The Live Show will air again on March 28, 2012 at 12:30 PM ET. 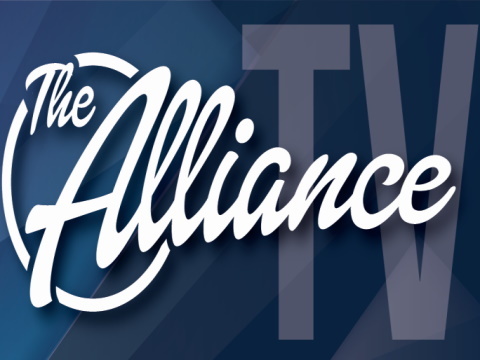 The Wednesday Call Live (TWC) for February 22, 2012: This week's live show was hosted on stage at one of National Agents Alliance's ABTF bootcamps. The Live Show will air again on February 29, 2012 at 12:30 PM ET. The Wednesday Call Live (TWC) for February 8, 2012: Andy Albright is coming at you live from National Agents Alliance Headquarters in Burlington, NC! Training, team building, and surprise visits from top agency managers are all common themes for Andy's live show. Tune in to get all of today's great info! The Live Show will air again on February 15, 2012 at 12:30 PM ET. The Wednesday Call Live (TWC) for January 18, 2012: In today's live show, Andy Albright and Tim Goad discuss how mindsets can be molded at National Agents Alliance 2012 National Convention. With NatCon 2012 almost upon us next Wednesday, The Live Show will begin airing again on February 2, 2012 at 12:30 PM ET. The Wednesday Call Live (TWC) for January 11, 2012: Andy Albright is coming at you live from National Agents Alliance Headquarters in Burlington, NC! Training, team building, and surprise visits from top agency managers are all common themes for Andy's live show. Tune in to get all of today's great info! The Live Show will air again on January 18, 2012 at 12:30 PM ET. The Wednesday Call Live (TWC) for January 4, 2012: Andy Albright is coming at you live from National Agents Alliance Headquarters in Burlington, NC! Training, team building, and surprise visits from top agency managers are all common themes for Andy's live show. Tune in to get all of today's great info! The Live Show will air again on January 11, 2012 at 12:30 PM ET.